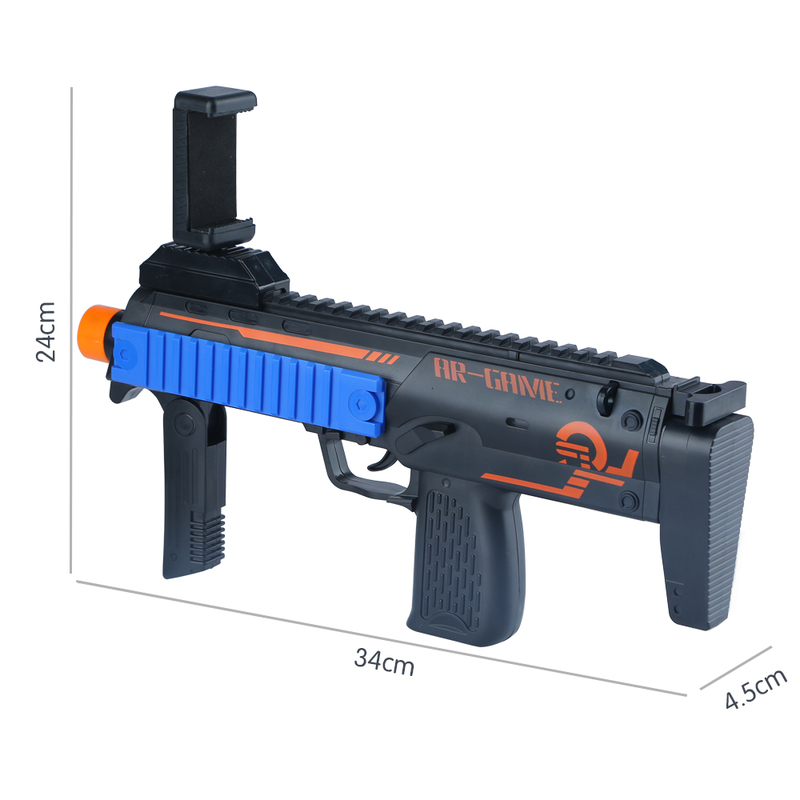 2.AR-Gun is a DIY-expandable toy gun that combines AR technology with electronic technology. 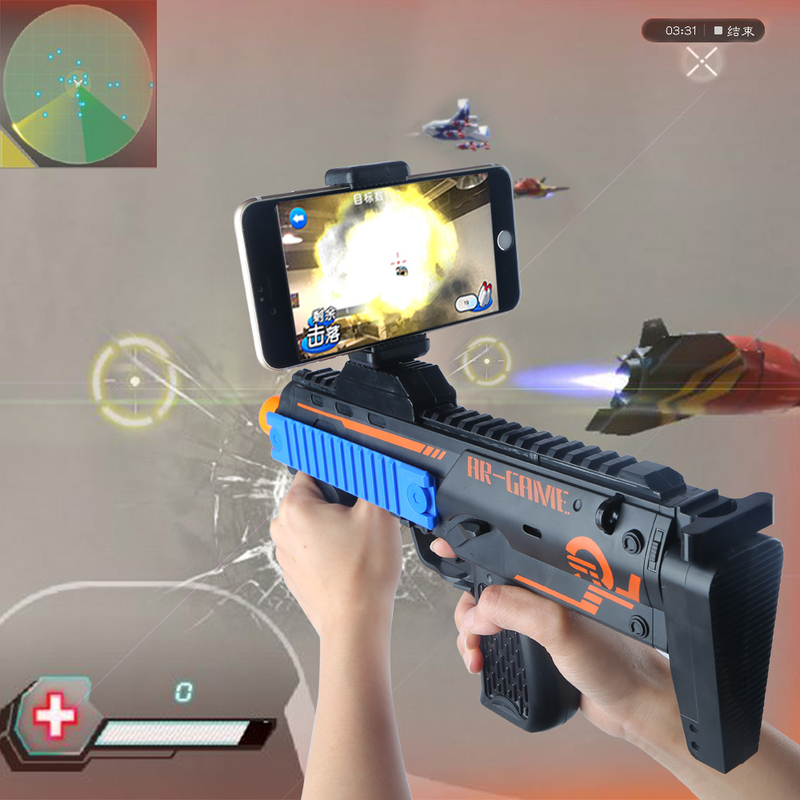 3.With the AR-Gun APP, the real world will be integrated with the virtual game world to enhance the realistic experience, let the player via the visual, Sports enjoy the interation between reality and virtual.Built-in virtual radar, the player can move or turn around to find the enemy, aim and pull the trigger to kill the enemy. 4.Environmentally friendly material,Wireless: can be connected to phone . Step1: Open the battery cover and install 2 x AAA battery. Step2: Close the battery cover. 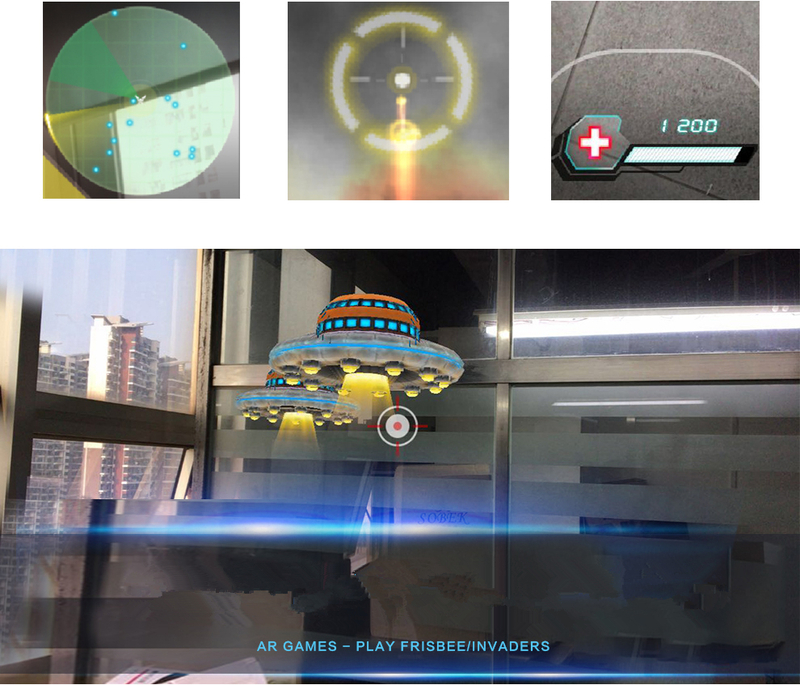 Step3: Search AR-Gun app and download from App store or Google Play. 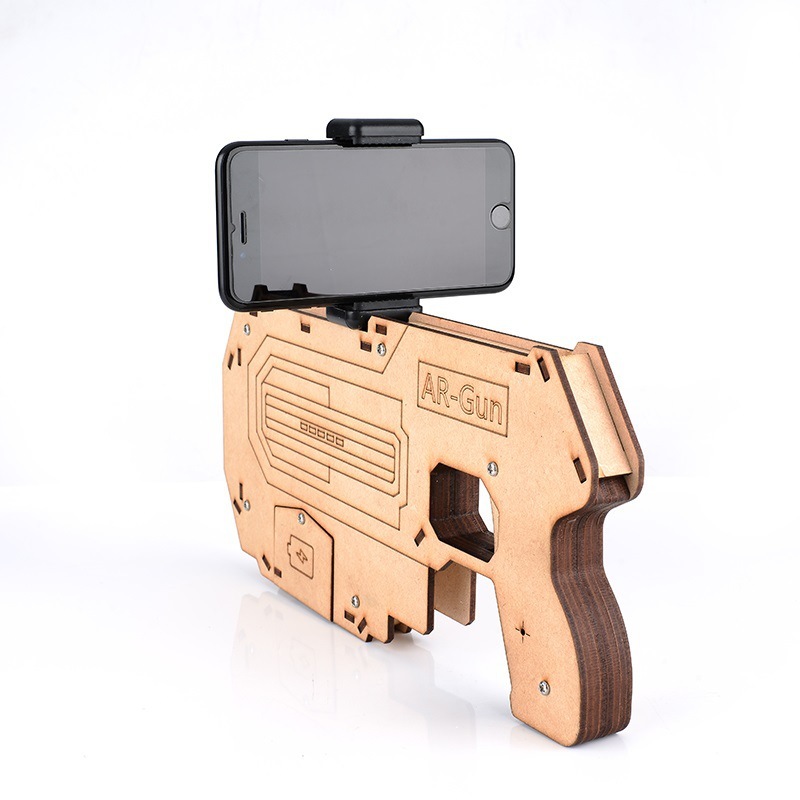 Step4: Connect to the phone and open the AR-Gun app. Ningbing Electronic Technology CO., LTD,As a factory-based exporter of Smart phone and Tablet accessories from China. Adhering to good business ethics, we are orientating ourselves as a serious and reliable partner for all customers. Backed by our own ISO qualified factory, we are dedicated to providing clients complete and satisfactory solutions for mobile phones. Our main products now include mobile phone leather cases,TPU cases,silicon cases and PC cases. 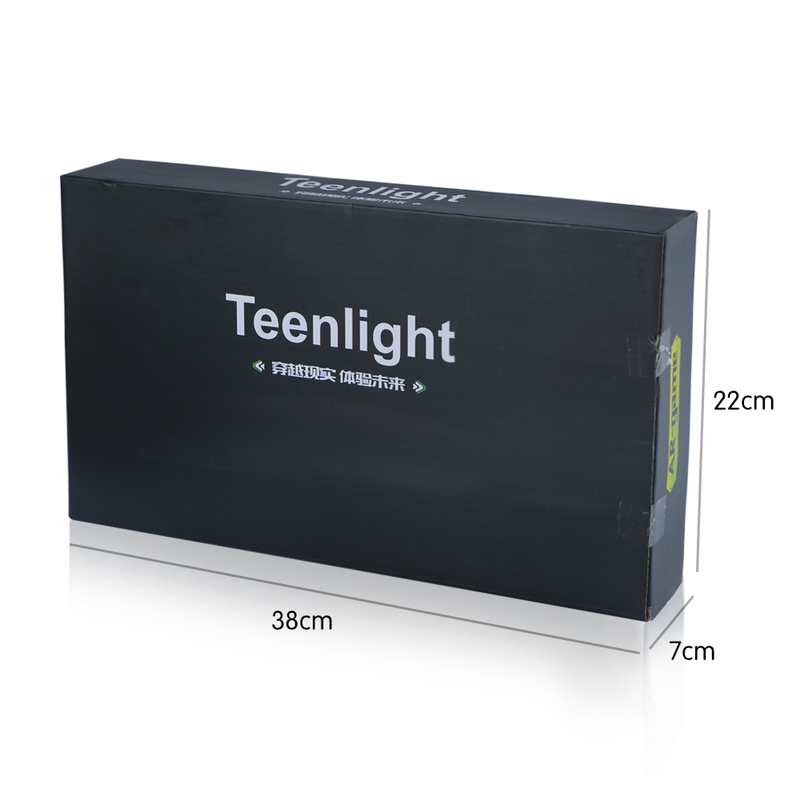 OEM and ODM are available, we are able to fill all urgent deliveries. Operating according to the philosophy of "Working towards partnership, development together with customers", we are wholly aware that we can only grow if clients are satisfied with us. Accordingly, we strive to meet buyers' expectations by providing high quality products, competitive prices and effective service. Meanwhile, we are continually extending our range in order to help customers maintain their competitive advantage in the heated market. Q: When does the AR GUN Player come to market ? Q: Do you have other styles AR GUN Wooden ,VR GUN Plastic ? A: Yes ,we have,please click the related products. 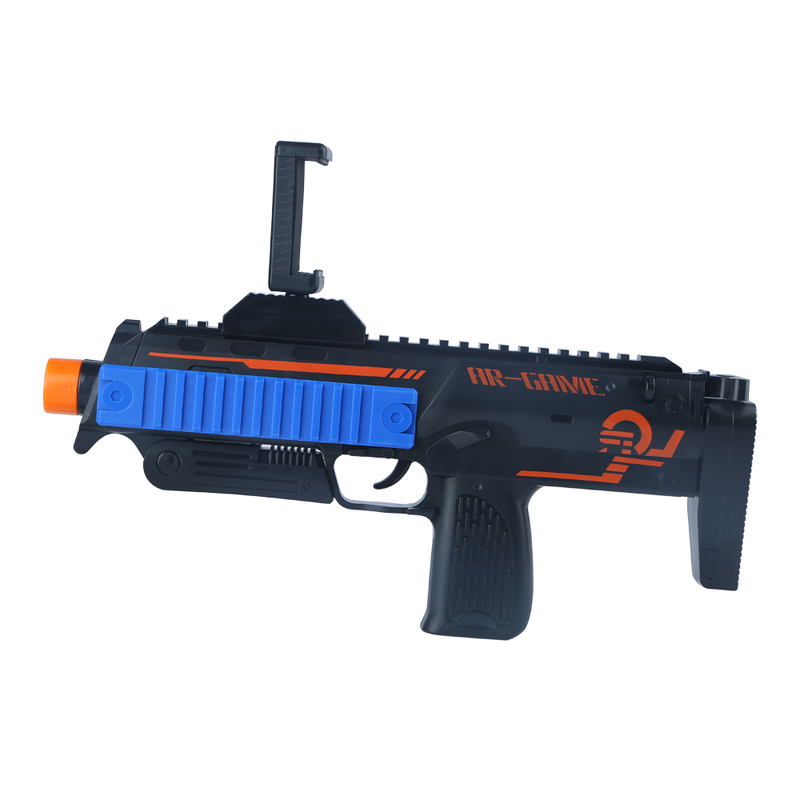 Q:How to use the AR GUN ? 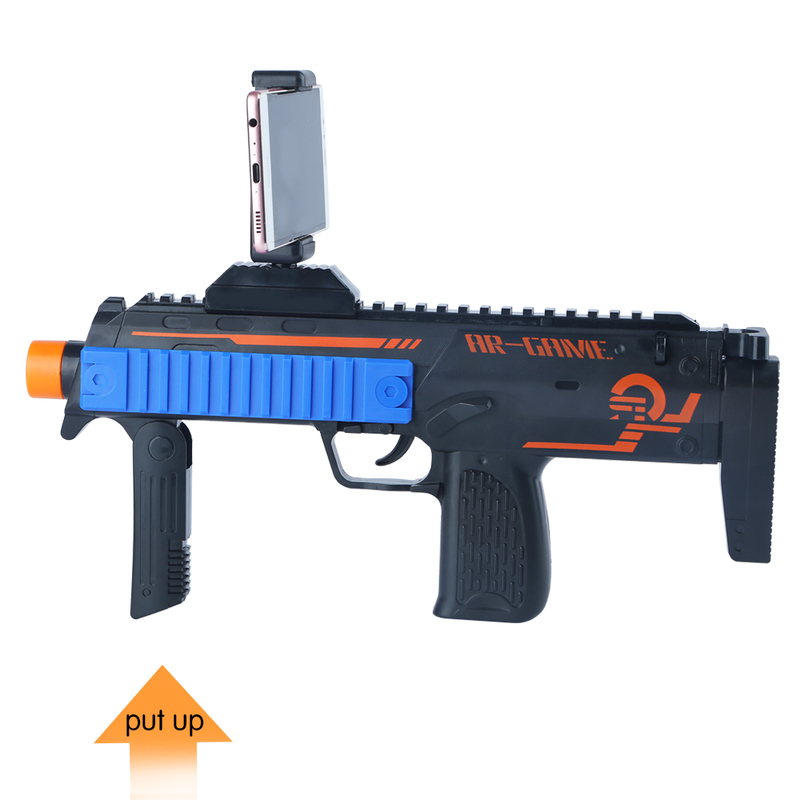 A: The AR GUN use Wireless connections ,when you receive the goods ,there is a specification in the package ,you can do follow as it . Q:Can you offer one sample to check the quality before order ? A:Yes ,we can offer one sample free for customers first time ,but the shipping cost by customers . 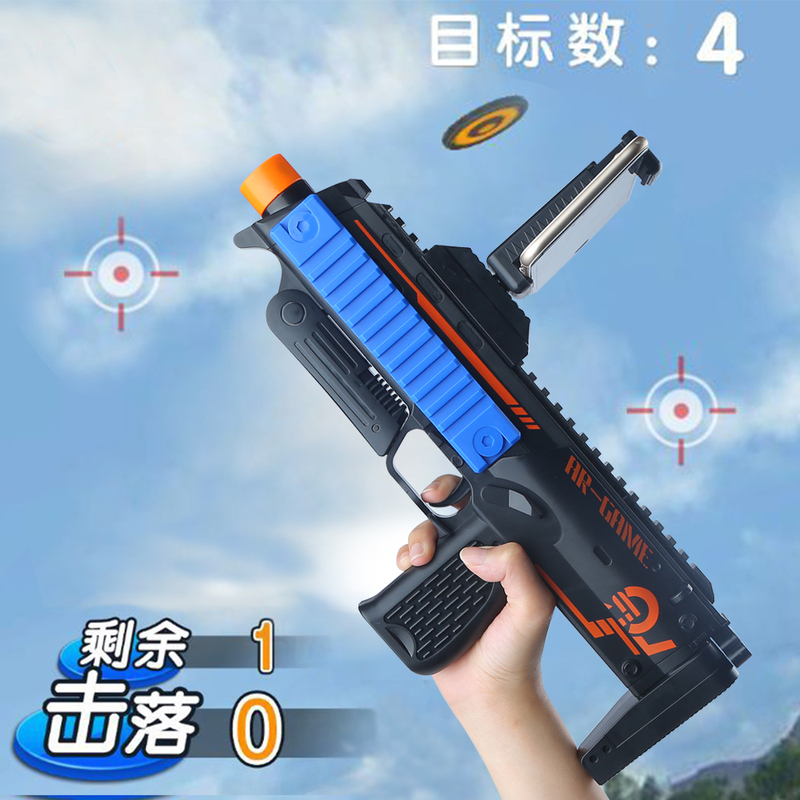 Q:How many games in the AR GUN TOYS?Does the AR GUN support all mobile phone models? 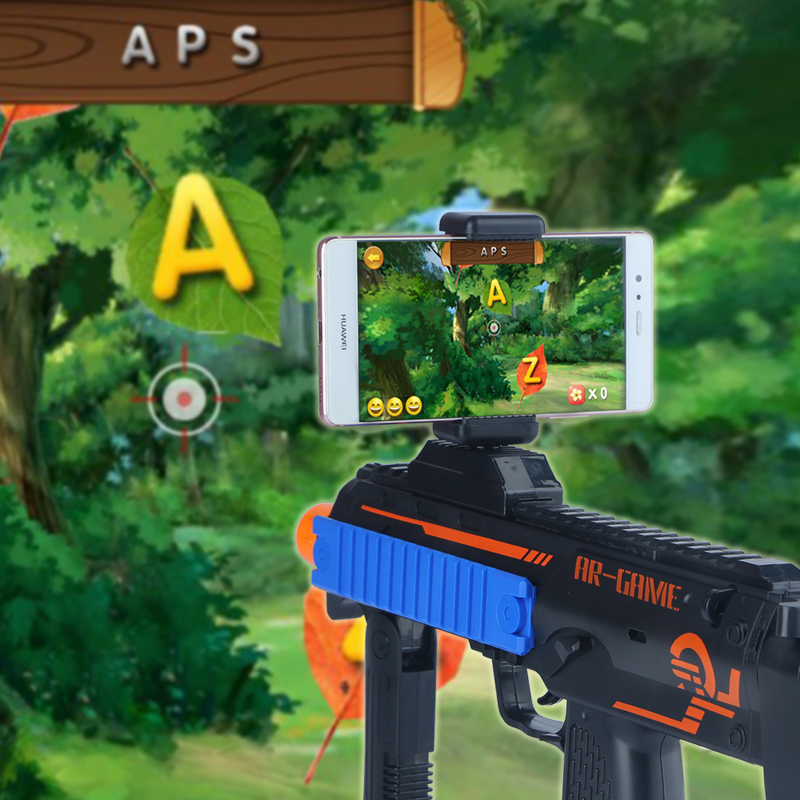 A:9 games total.the AR GUN support all mobile phone models,IOS and Android.